Well guys I'm at it again. I'm a sponsor at my favorite contest blog A blog of goodies this month. 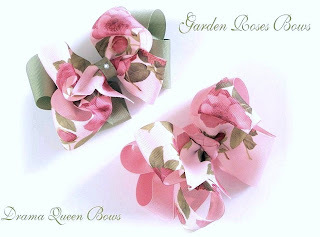 This time I'm donating my garden roses bow for the contest. There are lots of other great prizes so be sure to take a look !